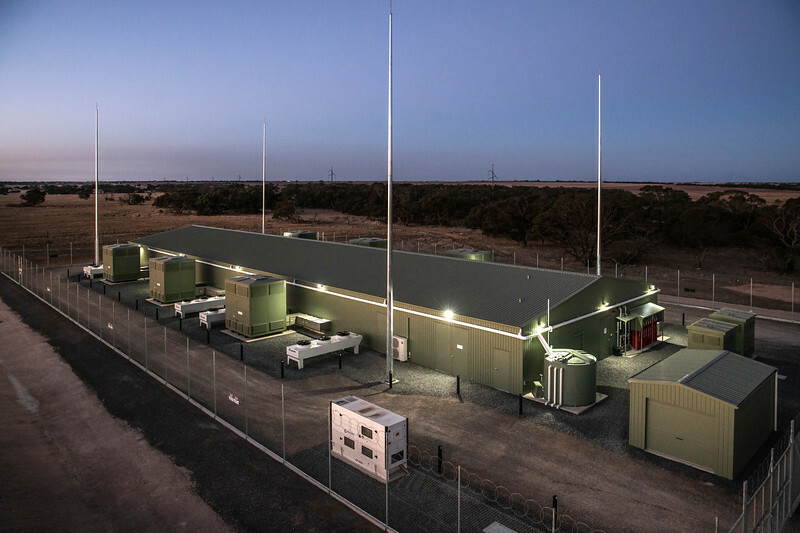 South Australia’s energy network has been bolstered by the addition of the grid-scale ESCRI battery, which has celebrated its official connection to the National Energy Market. The 30MW / 8MWh battery has been installed at the Dalrymple substation on the Yorke Peninsula, seven kilometres south-west of the township of Stansbury. Situated part way along the fringe-of-grid transmission line serving the Peninsula, the battery will contribute to energy security and reliability in region. South Australian transmission provider ElectraNet has developed the project and owns the new ESCRI battery and adjacent substation. ESCRI is the second grid scale battery to enter service in South Australia, building on the success of Tesla’s Hornsdale Power Reserve. Like Hornsdale, ESCRI has also been built near a wind farm – the 55 turbine, 91 megawatt Wattle Point Wind Farm. With renewables today providing almost 45 per cent of South Australia’s power supply, the battery projects aim to maintain stability and security as the state’s energy landscape transforms. In 2017, ARENA provided $12 million in funding towards the newly completed $30 million battery project. ARENA Acting CEO Nicola Morris said ESCRI will complement South Australia’s other batteries and reinforce Australia’s role as a leader in large-scale battery technology. “It is clear that grid scale energy storage has a role to play our future energy mix. ESCRI demonstrates that utility scale batteries can deliver a range of market services and back up power when it is needed,” Ms Morris said. As well as delivering frequencing control services to improve the security of the grid, ESCRI is capable of entering an ‘islanding’ mode to provide a backup power supply (working in conjunction with the Wattle Point Wind Farm and local rooftop solar PV) in the case of outages. ElectraNet Chief Executive Steve Masters said the new battery is the first large-scale battery in the NEM to provide both regulated network services and competitive market services – such as frequency control and ancillary services and inertia. “On average, it can provide backup power to 4500 customers in the Dalrymple service area for 2-3 hours while connection to the grid is being restored,” Mr Masters said. Utilising Samsung lithium ion batteries, the new battery can also reduce constraints on the Heywood Interconnector by supplying fast frequency response. Construction was completed in April last year, and commissioning and testing was finished in December. The operation of the battery was handed over to AGL in mid December when it went live on the NEM. AGL will operate the battery under a long term lease arrangement. ESCRI is the third grid scale battery completed with ARENA support, following hot on the heels of the two batteries opened in Victoria in late 2018. A fourth ARENA-supported battery project at Lake Bonney in South Australia is currently under construction. Real time information about the performance of the ESCRI battery can be found on ElectraNet’s website, here. Holy battery advice, it’s Batt Lab!